What Happened to Libertyland, the amusement park in Memphis? If you grew up in Memphis you knew to look forward to trips to Libertyland. It was a small amusement park that was open from 1976 to 2005. It was located on the Memphis Fairgrounds and incorporated many existing rides including the Grand Carousel. The Zippin Pippin rollercoaster, with its spins and drops, was Elvis Presley's favorite. Rumor has it he would rent out the entire park for his crew once in awhile. In 2005 trouble hit when the owners threatened to auction off the most famous rides including the Zippin Pippin. A local activist named Denise Parkinson stepped up and formed the group Save Libertyland. She argued that by destroying the city's beloved amusement park, it would be destroying an important part of history. The Zippin Pippin and the Grand Carousel are both on the National Register of Historic Places. The later was built in 1909. Save Libertyland put up a heroic effort. The group organized protests and gathered signatures for a petition to save the park. They even attracted investors who were willing to revitalize the park, including T-Rex Entertainment who offered to lease the park for $10,000 per month. The offer was initially declined both by a city official and members of the Mid-South Fair Board. Later both parties reconsidered. The group’s second major victory came when they prompted the city to look into its own rights to the rides. After much research, the city attorney produced documents proving that the city owns both the Zippin Pippin and the Grand Carousel, forcing the Fair Board to take the two rides off of the auction block. These efforts were valiant, but they weren't enough. On October 29, 2005 Libertyland closed its doors forever due to finances. 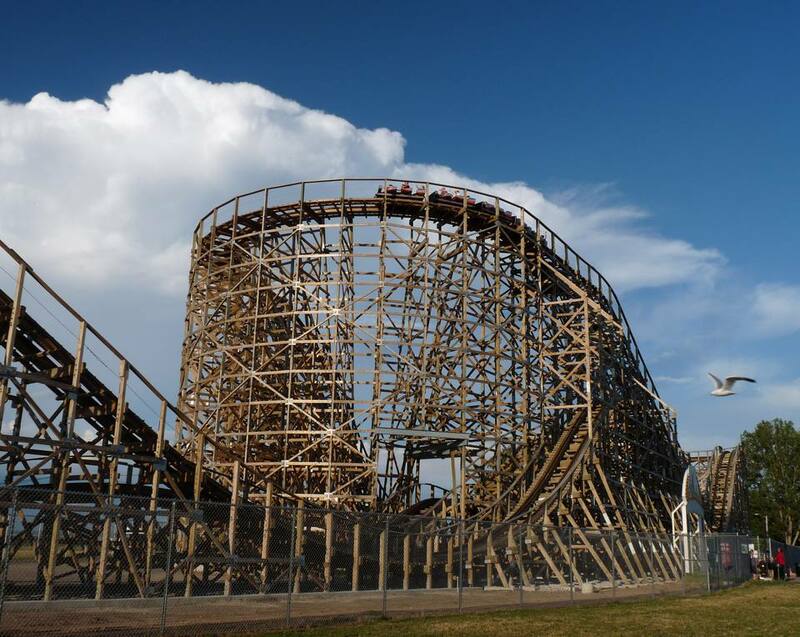 The Zippin Pippin was sold to the city of Green Bay, Wisconsin in 2010, and the rest of the rides were demolished. The land was cleared. The Carousel was kept in storage until 2015 when the Children's Museum of Memphis purchased the historic ride and had it refurbished. The Grand Carousel reopened on December 2, 2017 inside a new Pavilion and events facility at the Children's Museum of Memphis, not far from its first Memphis home at the Fairgrounds. The Carousel is open to the public daily from 9 a.m to 5 p.m. and rides are $3 per person. The carousel runs on the quarter hour. Today on the site of the former Libertyland there is now a disc golf course and a new tailgating area in front of the Liberty Bowl called "Tiger Lane". The future of the Mid-South Coliseum and the Fairgrounds in still in question.